A new section, for singular marvels. 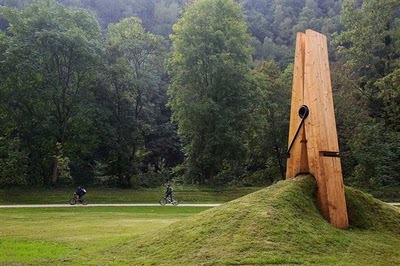 Today it is the peg sculpture in Belgium’s Park Chaudfontaine, by Turkish artist Mehmet Ali Uysal. He doesn't have a website, but I assume it stands to questions man's treatment of nature.